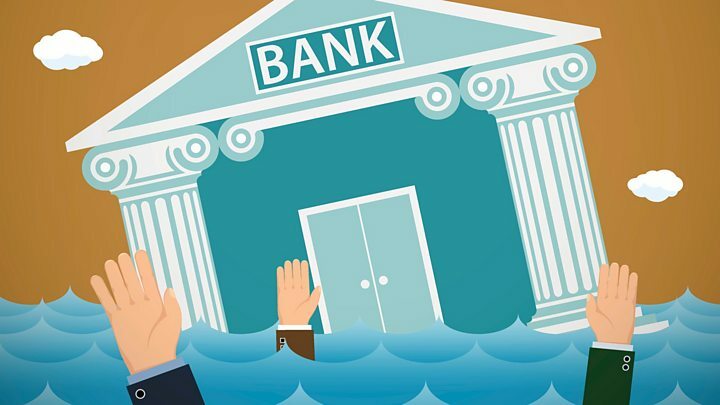 One of the most comprehensive studies of the state of banking and markets since the financial crisis warns that "dangerous undercurrents" are a rising threat to the world economy. Media captionStorms, viruses, bankers: What could cause another economic crisis? "Looking ahead, clouds appear on the horizon," the report, published at the body's annual meeting in Bali, Indonesia, says. "Support for multilateralism has been waning, a dangerous undercurrent that may undermine confidence in policymakers' ability to respond to future crises. "Nonetheless, despite trade tensions and continued monetary policy normalisation in a few advanced economies, global financial markets have remained buoyant and appear complacent about the risk of a sudden, sharp tightening in financial conditions." The IMF's warnings will increase fears that the present buoyancy in global growth may not last. 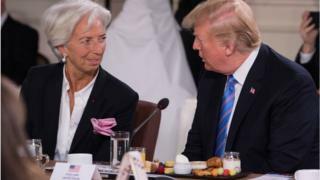 The IMF says there is a "risk of contagion" as investors become increasingly nervous about the strength of emerging markets, with the risk of capital flows towards the US accelerating. The report says that outflows could hit $100bn (£76.4bn) over a year, about 0.6% of emerging market economies' gross national income. That would be "of a magnitude" similar to the financial crisis.